A day spent watching national broadcaster ZBC will tell you things aren't well at what was once Happison Muchechetere's supreme domain.Most of the programing is outdated and the current material is really not up to par with international standards.A quick look at the Tonight with Zororo youtube channel will convince you this is just the kind of show Ztv needs to grow its waning audience.That Ztv then decides to not give the talented host Zororo Makamba a slot for his show boggles the mind.Zororo however has never been a crybaby,after a successful run on the web the #TWZ show is finally headed to the silver screen as Dstv Chanel 160, Zambezi has agreed to showcase the talkshow starting November. The Tonight with Zororo talkshow touches on various matters relevant to Zimbabweans young and old.It has a segment titled,the update,which highlights the different sides of Harare i.e uptown and downtown which are separated by Samora Machel avenue.The well to do in their leafy suburban houses North of Samora and the less affluent in their ghettoes South of Samora. All this is done with a dose of comedy which leaves one appreciating the different components which make up this magnificent country of ours. 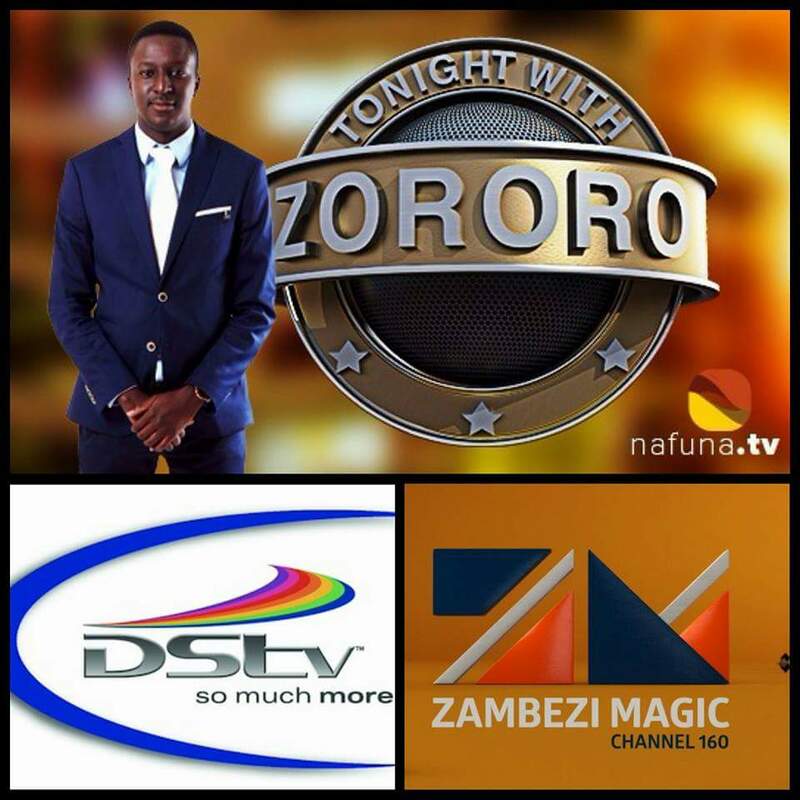 Another interesting segment is the interview hosted by Zororo were a wide range of personas have been given a chance to answer for themselves on an equally wide range of topics.Guests interviewed have included mogul Philip Chiyangwa,comedian Carl Joshua Ncube,politician Acie Lumumba,man of God Bishop Pashapa,news anchor Rumbidzai Takawira and many more colorful personalities from differing fields.The in depth question and answer sessions make for interesting viewing and give ordinary Zimbabweans an insight on how these brilliant men and women do what they do daily. The show has also played a part in giving musicians a platform to shine in the form of the Coca Cola soundstage.Afro pop acts Tariro Negitare and Tinashe Makura to rappers like Simba Tagz and even heir to the Andy Brown legacy,Ammara,have showcased their skill on the stage were an acoustic guitar is the resident instrument of choice. It still remains to be seen if the Nafuna TV production will have as much success as it has enjoyed on the Zimbabwean information superhighway.One thing is certain though,by turning down the TWZ talkshow,ZBC might just have given Zororo the break of his life.You can watch the pilot episodes of the show at www.twzshow.com or on their youtube channel as well as their facebook page.